Once you are forced to make the decision of escaping from the terrible things occurring in your country, there are few things you can do, for example, leaving everything behind. INCLUSIVITY wants to offer some alternatives to such hard decisions. Let´s imagine a family in Aleppo deciding to escape from their country because life is no longer viable, it is a horrible story, but INCLUSIVITY will try to make it a bit easier, with our technologies and our Agent Network, called Meeting Points of Services (MPS), that are people with a phone and access to other technologies, where users could go looking for help to receive services. Thanks to our Blockchain Platform, a mobile phone and our App, or with the help of a Meeting Point, this family can register their property: Geolocate their home and register it on blockchain, so when they come back, even if bombs have destroyed the building, there is a Registry, they can prove the exact location and ownership, the time they have registered it, etc. Also, they can register important documents that will be useful to have once they get to their destiny, such as medical record, degrees, banking records, etc. If they decide to sell their belongings or borrow them to someone, they could also upload the contracts, notify that their buyer owes them money and even prove that their friend kept some of their things. Other Registry: Property to register farmer´s land, real estate, and all kind of assets and liabilities; Registration of Intellectual Property: projects, ideas, work of art, Registration of Instructions and also Memory Registration: conceived to preserve people’s, families’, communities’ and town’s culture. It is even possible to register languages and dialects in danger of extinction. All documents of any kind are accepted, including long-length videos. Our team has agreements with storage solutions and video optimized search developers, with blockchain’s security. We place special emphasis on one of the most basic and most important service, Identification. INCLUSIVITY creates an Identity Record in blockchain, where all users can register for free, especially those that do not have an official identity. The experience of our R&D team brings solutions adapted to each environment (Biometrics based in blockchain: iris, voice, gestural, etc.). This will help international organizations and governments as we are willing to collaborate with them in this as well. With a single smartphone, we can safely register anyone; Meeting Points will help to achieve an official identity value and to register those who need help: illiterate, handicapped, people with no phones, etc. Identity allows people to defend their rights and to completely fulfill their obligations in equality. Another problem they could experience is the uncertainty of what to do with their money, taking it in cash is very dangerous as they are more exposed to be attacked while traveling, INCLUSIVITY proposes another alternative, with a phone, with the help of Meeting Points or collaborating organizations they can create a digital wallet and safely and in a fast way, cash in their money into their INCLUSIVITY wallet. Unlike other Blockchain projects, we are able to operate, not only in cryptocurrencies, but also in local money and our technology is able to exchange the local money for money from other countries in a few seconds and at the best exchange rate. When they get to a Refugee camp or in the future to a village with Meeting Points, INCLUSIVITY will bring them all the services needed to make it easier to start their new lives. A refugee camp thanks to INCLUSIVITY can manage all the necessary functions of a city, a village, a camp. INCLUSIVITY is developing this system to be used in a “favela”in Rio de Janeiro, Brazil. INCLUSIVITY offers all financial and banking services necessary to join the formal economy; with access to the same financial tools as people in developed countries, but with lower commissions and fees and without distances. INCLUSIVITY, in any case and in any jurisdiction, it operates in, will comply with the regulations and will offer the banking and financial services that are allowed, always fulfilling the legal requirements. INCLUSIVITY will operate either by obtaining its own licenses or by partnering with local licensed companies. A personal identification system, a reputation history record and our own “Credit Scoring System” (KYC compliant). Access to top quality financial and banking services at “low cost” rates: To create a wallet; to send and receive money (even by SMS with a very old phone or even for the ones without phone, through a Merchant), P2P; to save without banking account; to pay goods and services and to cash in – cash out through the Meeting Point, pay bills, receive vouchers / coupons (services, products, food, vaccines, humanitarian aid, blankets, etc. ), multiple accounts for singular purposes (example: specific accounts for school or health payments). Access to insurance and micro-insurance adapted to each need and culture partnering with international and local insurance companies. Access to international markets through our Marketplace without middlemen. Send and receive remittances without being charged overwhelming fees (ie, international remittances from immigrants). Currently $ 613 billion are sent annually, with average commissions between 7.7 and 10% (the G8 and the G20 aim to reduce it to 5%, which would mean savings for migrants of $ 14 billion annually) You send your local money (dollar/euros/ others) and your friend receives local money in a few seconds in another country worldwide, the platform will find the best change at that time in the market. Access to entrepreneurship and financial culture. INCLUSIVITY will allow third parties to offer through the platform new financial services: loans, lines of credit and even crypto-financing, financial Marketplace (Crowdfunding, Token Sale, venture capital, microfinance, etc.). One of the most interesting utilities of a blockchain platform is that you can create vote and opinion mechanisms that are impossible to manipulate and that preserve the voter’s identity. The refugee camp may ask questions to refugees to know their opinion, intention or to obtain objective data. For example: what are the goods that they need the most, if they are happy with some of the services offered, ideas to improve certain things, what each one could do to help, for example if there is a doctor, a carpenter, an electrician, etc, that could offer their services, etc. This data will be a service offered by INCLUSIVITY and its remuneration will be distributed between the platform and the owners of the information, always with the maximum respect to international laws of data processing and the people’s privacy. Users can express not only their opinions, but also their emotions, feelings and sensations, and also to create an inclusive market of data. Knowing people’s opinion can help refugee camps to make better decisions and even to avoid problems of corruption and misuse of goods and services. Regarding Medicine INCLUSIVITY will keep all medical records, medical recommendations, diagnoses, etc. of each person, while maintaining anonymity of data. Because of this, each person can receive effective treatment anywhere in the world. If they don’t have their ID, passport or haven’t had the chance to register themselves in INCLUSIVITY before, in the refugee camp they will be able to access the services regarding to identification previously mentioned, or register some of the things left behind if they haven’t had the chance to do it before and if they have, through our Meeting Points they will have access to what they have registered. The use of identification becomes essential to control the distribution of resources inside the refugee camp, let´s look at the example of humanitarian aid, through our platform, vouchers for vaccination can be offered individually to everyone registered, making it possible to keep a record of who has received the vaccine and who hasn’t, avoiding vaccinating one person more than once, people not getting vaccinated or people stealing others’ voucher to receive more than one or to sell it. Organizations and Companies that offer the services required or that are willing to work with refugees can use the INCLUSIVITY platform with all its facilities. INCLUSIVITY can offer third parties’ services through the Meeting Points: from the most complex to the most basics of services. Any local bank, any startup or company working on Fintech can offer its financial and banking services to the entire community of INCLUSIVITY and rely on the platform and on the network of commercial agents (MPS) in the territory of its choice. In the same way, we have proposed banking services, insurance and microinsurance companies will also be able to use the platform to offer their insurance services and manage through the MPS all incidents and claims that arise. Blockchain becomes an essential tool to certify time, place, data, photos, videos, etc. in the claims. INCLUSIVITY will incorporate the highest technology in banking security and in compliance with financial international and national regulations and in terms of KYC, AML and CFT. By being an isomorphic or auto-similar structure, due to its simplicity, will be replicated when creating other Meeting Points nearby and so on, generating the capacity of growth and of adaptation to the ecosystem, maintaining the same basic rules and, above all, the intact spirit of INCLUSIVITY. Our core is not the headquarter, nor hundreds of employees and controllers, our core, as we have seen, is the physical network of Meeting Points of Services with its great capacity for contagion and scalability adapting to the environment, even if distance or orography are complicated. This provides an important advantage, as we are able to adapt to the different situations and offer people the services they need, adapting to the place, that is why more services or cooperation with companies that offer these services will be created if needed. Moreover, in the second phase, INCLUSIVITY will make the education needed at the disposal of everyone to have access to the newest technologies and become the future professionals that this generation and the changes that are occurring demand. We are pleased to announce that Inclusivity will be at the first Africa Fintech Summit this September in Accra, Ghana. Our CEO, Antonio Sainz will be speaking about Inclusivity, surrounded by great professionals. If you are there, we will be happy to meet you! 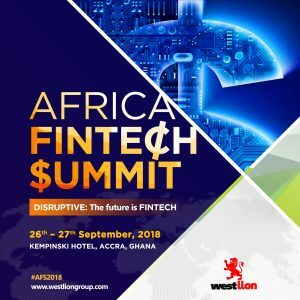 The FinTech Summit brings together the influential, disruptive and innovative technology companies that are redefining financial services across all areas of FINTECH in Africa: lending, payments, big data, crypto, block chain, InsureTech, robo-advice; and we’ll also be covering bank-FinTech collaboration, the Bank’s corporate VCs and much more. This year’s Africa FinTech Summit is aimed at extensively looking into the future of the continent’s FinTech space; whether disruptive technologies will change the future of finance in Africa, or not? President Duque’s Initial Test: Can he Solve Colombia’s Crypto Banking Challenge? Copyright © 2019 Inclusivity. All rights are reserved.